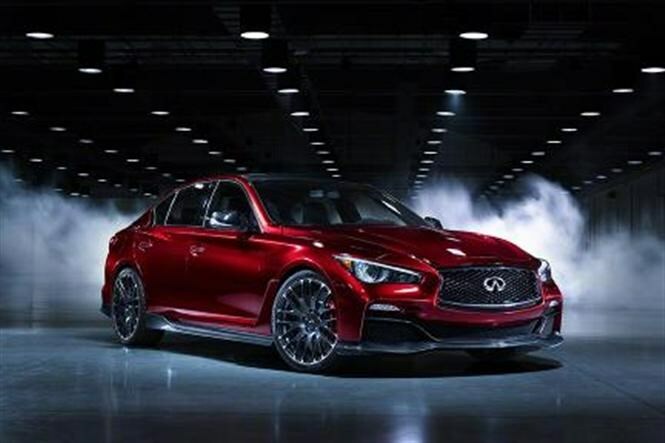 Capitalising on the Japanese firm’s sponsorship of the Red Bull Racing Formula One team, the Infiniti Eau Rouge concept is a high-performance version of the Q50 saloon. It’s named after the fearsome Eau Rouge corner at the Spa Francorchamps Grand Prix circuit in Belgium. Infiniti says the car is strictly a concept, but we can also assume that it’s a toe in the water to gauge show visitors’ reaction to a potential BMW M5 and Mercedes E 63 AMG rival. 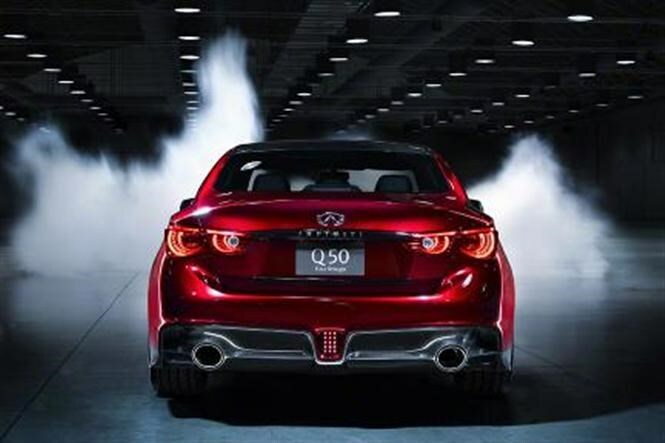 Were it to make production, Infiniti says the car would have upwards of 500bhp. And today it has been confirmed that the Q50 Eau Rouge will use the 3.8-litre V6 engine from the mighty Nissan GTR Nissan GTR (handily borrowed from parent company Nissan) with 560bhp and a 0-62mph time of less than four seconds. Its bodywork, constructed partly from carbon fibre, is rather wider than the Q50 saloon it’s based on and features various aggressive spats and winglets. The rear fog light is another F1-inspired touch, designed to look like a Grand Prix car’s rain safety light. 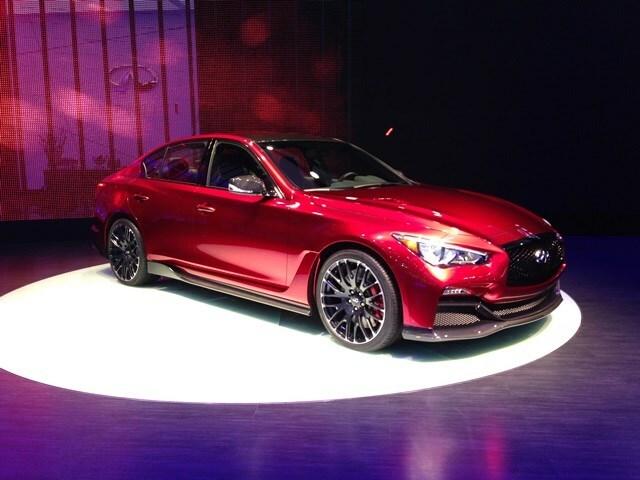 We’ll have to wait and see whether it gets the green light for production but while the response for a regular Q50 has been mixed to say the least, the desire for a four-door GTR may just be enough to tip the scales in the Eau Rouge's favour.